Grease plays an important part to extend the production and service life of machinery. Particularly of the industrial machines, because they are of high-speed processes so, the components require greasing and maintenance. To increase the life of the equipment and working speed proper greasing and maintenance through industrial greases is necessary. Some big machines demands high volume of Grease. The grease is also very significant means to make sure and increase the service level of the machines. By a lot of parts a mechanical device is being prepared. Most of them require greasing when machines are running. The whole machine gets ruined and damaged by the breakdown of grease or lubricants, despite the fact that, grease provides a proper smoothness to the machines which is a main part of its maintenance. The function of grease to the machine is very important for the life of machines. 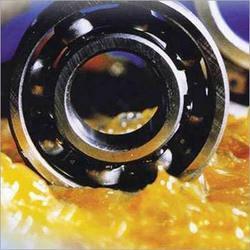 You can say that the grease for bearings is a core part in the machinery equipment. Why Grease Applied in Machines? The grease is core applied in the gear lubrication of many types of equipment. Even it is also used in gear box and gear reduction. and moisture, which cause damage to the machines, so the maintenance requirement of the machines get necessary. There is a huge range of automotive and industrial greases and lubricants, and its selection must be with precautions. Mineral oil is a core consequent from petroleum. It has lesser prices, more thickness standards and non-fragile make it wide functions. The mixed oil is a combination of soaps, sulfur, animal and vegetable oil and other stuffs, which are able to be produced of different properties of grease.